to provide off-season training for young riders. When the days grow short and the nights grow long, the foggy village of Cumberland starts to slow down. But in a distant corner of the Cultural Centre, a group of young adults are just starting to gear up. As a mecca for singletrack mountain biking, Cumberland is generating an extremely skilled generation of youth riders. But as the snow begins to fall, the opportunity to ride during the winter dwindles. A local father saw his son collapse with exhaustion, gasping for air after a spring race, and an idea began to form. Many of the locals have significant skills, but their cycling fitness falls to the wayside over winter. The father approached a local favourite Cumberland Recreation Institute (CRI) fitness instructor, Paul Purin, to see if something could be done to provide more consistent training. 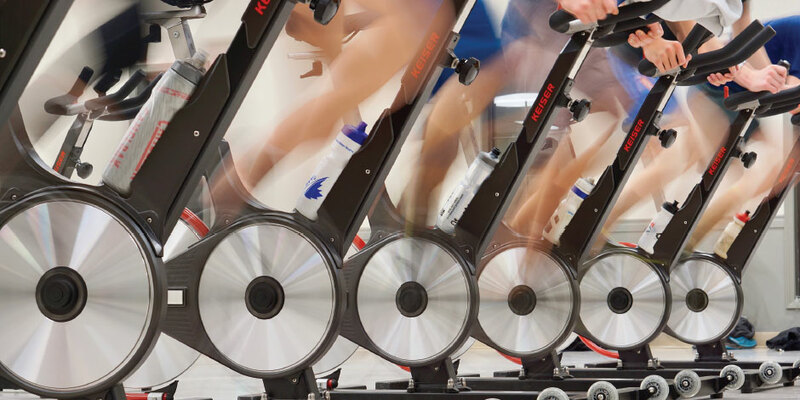 With the CRI’s recent purchase of nine spin bikes in 2016, Purin jumped on the opportunity. The roles were quickly determined over a pint at the Waverley: Purin would provide the core training and give nutritional advice, Reid would provide additional workouts and monitor their progression, and I would lead the spin class. By no means did the class generate these results. It was the athlete’s own dedication combined with the winter training as one part of the larger network of support from the parents, volunteers, local bike shops, and trail builders who help to create such an amazing bike community. Please contact the Cumberland Recreation Institute for more information or to register for next winter’s session.